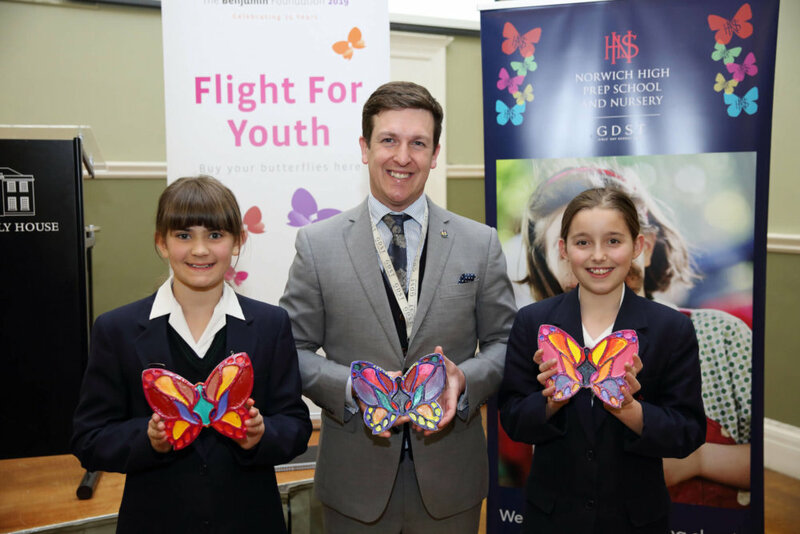 Flight For Youth is our 25th anniversary fundraising campaign, which will transform Holkham Hall and The Assembly House in Norwich into a kaleidoscope of butterflies, with an art installation designed by students from Norwich University of the Arts. The campaign has been generously supported by companies across Norfolk and our thanks to each and every one of them, in particular our headline sponsor, Norwich High School for Girls. You can help us build this kaleidoscope of butterflies to celebrate 25 years of The Benjamin Foundation and raise £100,000 to bring hope, opportunity, stability and independence to the vulnerable people we support by purchasing a butterfly. 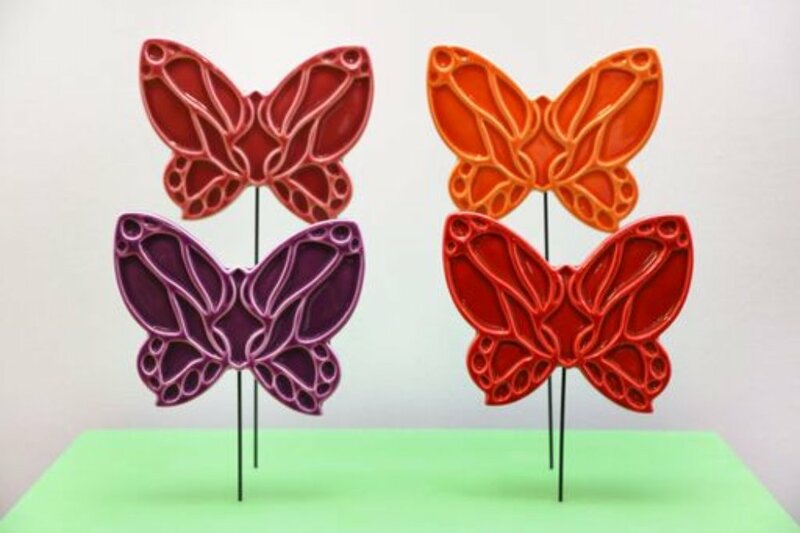 Your butterfly will then be included in one of our two unique art installations, which will be available for the public to view throughout the summer, before being returned to you as a keepsake for your part in this exciting campaign. Why not paint your own? 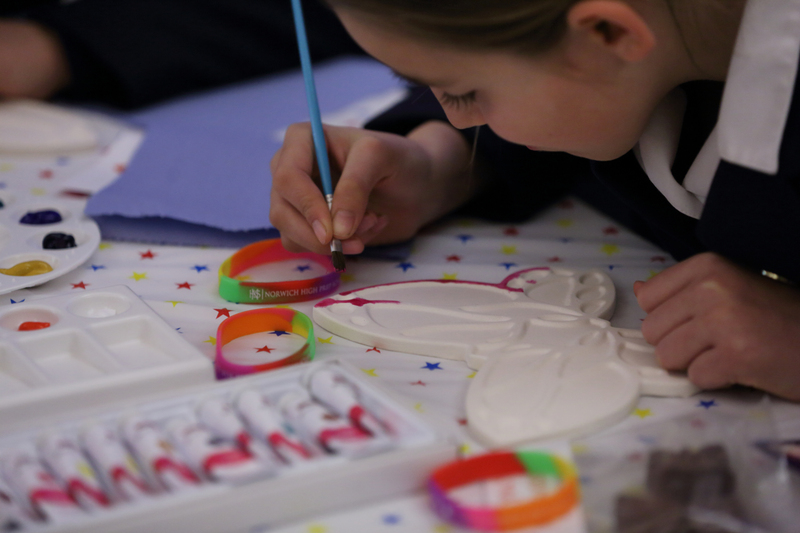 Our beautiful paintable ceramic butterfly is the perfect opportunity for schools, care homes and other groups and organisations to get involved in a fun, imaginative and engaging way! You can even submit your decorated butterfly for inclusion in the installation. Get involved – purchase your butterfly here. 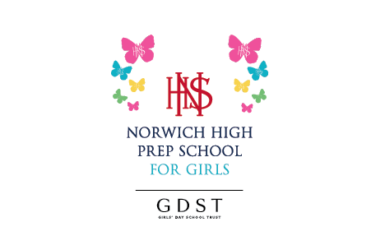 Headline sponsor Norwich High School for Girls. Get involved – Buy your butterfly here! 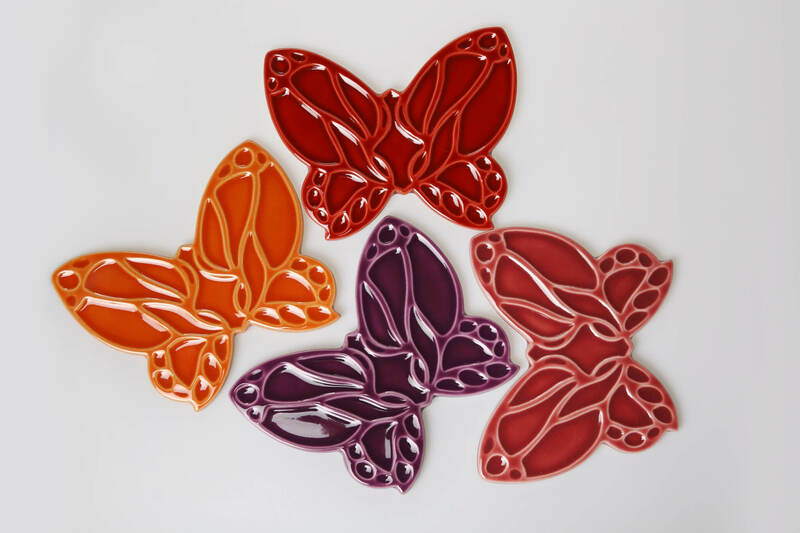 Visit our creative pop-up where we will be selling our beautiful ceramic butterflies. You will also have the opportunity to purchase one of our ‘Paint Your Own’ butterflies at a special show price to demonstrate your creative skills! The charity’s silver anniversary is a wonderful opportunity to create even more awareness of the work we do in the region, as well as generate much-needed funds. So we have decided to focus the celebrations around a dramatic art installation for the public to enjoy, featuring, of course, our much-loved and well recognised colourful butterfly!